If you are about to choose your Christmas lights then we recommend that you choose Solar LED Christmas Lights which are available everywhere in different colors, sizes and variations. There are so many stores, selling so many different brands and variations of Xmas lights that one will definitely need a short guide to be able to select the best Solar LED Christmas lights solution suitable for her/his needs and closer to his/her budget. 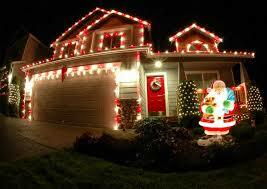 In this short article we will give you the basic guidelines in selecting the right Christmas lights for your house or business. It is important to understand that basically we are talking about the combination of two technologies into one system, Solar and LED technologies. What we mean by Solar is that the source of electricity for the powering up of the LED lamps would be the sun and thus we would essentially using Solar Energy converted to Solar Electricity. The second technology is LED technology. LED stands for Light Emitting Diode and when this technology is used in lighting we have LED lamps. LED lamps are different than the incandescent and fluorescent lamps we have using so far. The benefits of Solar Electricity are many and we all know that solar electricity is produced from the conversion of Solar Energy into electricity with the use of photovoltaic cells. Solar energy is a renewable form of energy, a Renewable Energy Source, and thus it is one form of energy which does not cause any damages to our environment since it produces no CO2 emissions which are harmful to the environment. LED lamps are more efficient than any other kind of lamps currently available, incandescent and fluorescent and at the same time they have a higher lifespan than those lamps. It should be noted here that full brightness of LED lamps comes without the need of warm up something which makes the lamps more efficient and less energy hungry. Solar Panels:In order to collect the sun’s energy and convert it into electricity you need Solar Panels which should be installed at the right place at your premises facing the right direction. South if you are in the north hemisphere, so that they would have the most exposure to the sun and thus collect the maximum energy from the sun rays. The number of solar panels needed depends on the amount of electricity we would need and the more panels we have, the faster we will collect electricity but the number has the cost element involved so the optimal size needs to be purchased. There are easy methods which will enable to size your panels in an optimal way. Batteries: Once the right solar panels are selected the next item in your list would be the batteries. We all know that once the sun is gone, at night or on a cloudy day, electricity is gone so we need to store electricity and use it when sun is not available. The size of the batteries needed would depend on two factors: on the amount of electricity we would need for the LED lamps and the time the lights would be on, of what is known as the range of the lights. Apart from the size of the battery we would have to choose the technology of the battery. There are different technologies with different advantages and off course different costs. There is the NiMH, Nickel Metal Hydride, technology and the NiCad, Nickel Cadmium, technology also known as lead acid technology. NiMH batteries cost more than their corresponding NiCad ones but they are environmentally friendly and last longer, up to 3 times longer. Most of the stores which sell solar LED lights recommend the NiMH batteries, over the NiCad batteries. It should be noted that both batteries are rechargeable, something which a requirement of the whole system since batteries are charged, discharged and recharged on a daily basis. Operating Time: The operating time, is the time through which we want the lights to be lighting. This time depends on how efficient our system is, since an efficient system will enable lights to be switched on for a longer period. So have this parameter in place. Flexible features: In addition to the standard lights on and lights off mode you may desire to have certain features so that you would make your Xmas decoration more impressive and more attractive. There are several features in the market such as flashing mode, auto record mode, rhythmic lighting mode and many others. Given the fact that Solar Xmas lights are usually on for about a month before and two weeks after Christmas and these days in the North Hemisphere we have the shortest days, It is important to understand that Solar LED lights can be used by anyone who lives in an area where there is sufficient sunlight to be converted into electricity and change the batteries. The south hemisphere does not have an issue since they enjoy the sun during the Xmas period and they have long and sunny days. We highly recommend the use of Solar LED Xmas lights since they are powered from a renewable energy source, the Sun, and they contribute to a cleaner and greener environment. The choice is yours.